Want a boat, but don't have the time to build...want it now? 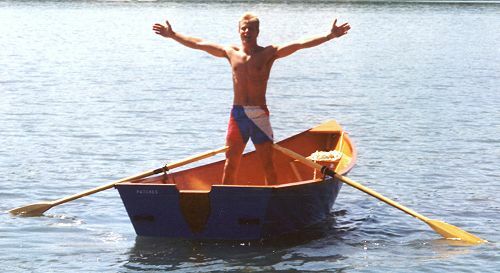 Then this simple Stitch-N-Glue rowboat is for you. It's fast, easy, and fun to build. Almost anyone can do it. Just trace the patterns on the plywood, cut the pieces out with a sabre saw, then Stitch-N-Glue together. Presto! You'll have a boat in a matter of days; not weeks or months. Yet here's a boat that will provide years of service. The sturdy hull features a 3/8" bottom and 1/4" sides; and only two 4' x 8' sheets of each size are required. 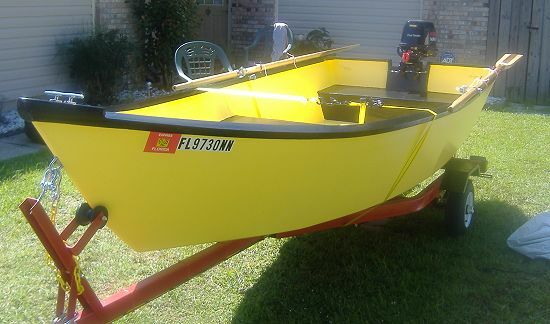 ROWME is an ideal fishing skiff. 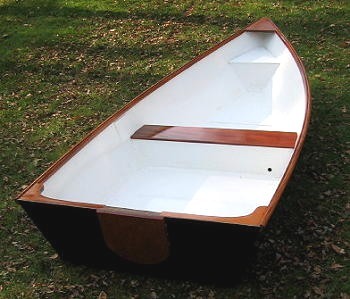 The stable, flat bottom rowboat can also be powered by a small outboard, plus there are three built-in flotation chambers for safety (flotation filling optional). So why not build your own... like now? Hull depth amidships (approx) 18"
Hull weight (approx.) 145 lbs. 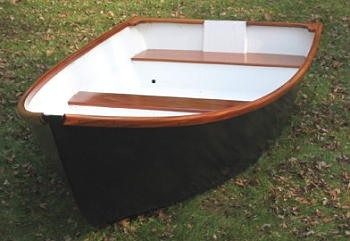 Hull type: Flat bottom rowboat for Stitch-N-Glue sheet plywood construction. Using 1/4" plywood sides and 3/8" plywood bottom. Power: For rowing or 5 hp max. outboard motor. Trailer: Designed for use with Glen-L Series 750/1000 boat trailer plans. Use this kit if you do NOT plan on fiberglassing the outside of the boat.